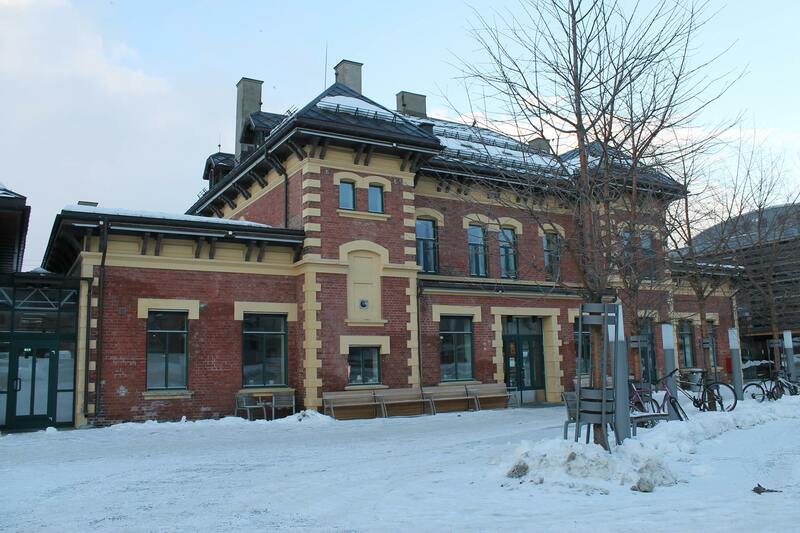 HI Lillehammer Hostel is located AT the bus and train station of the Olympic town Lillehammer, 2 hours and a half north of Oslo. The hostel rooms were made for the Winter Olympics in 1994. 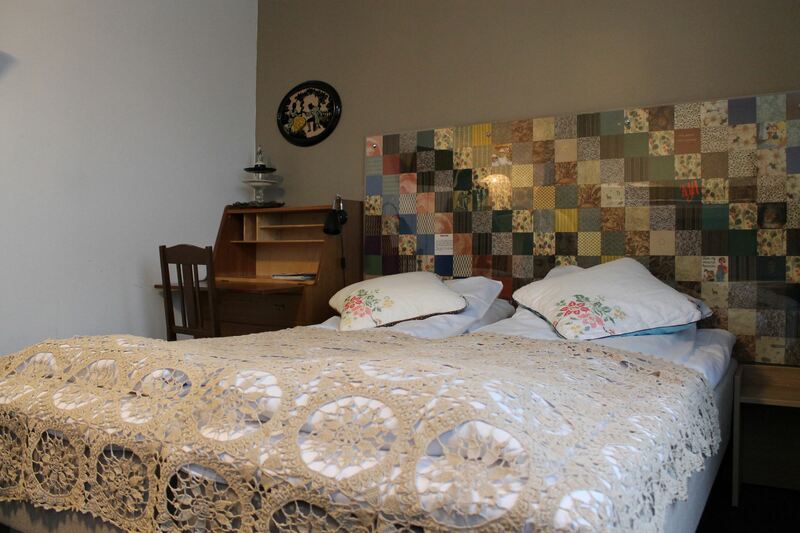 Today, the hostel has all sorts of different rooms which are decorated by local organizations. How about staying in the Pilgrim Room, the Amnesty International Room or the local second hand room? The reasons for having rooms decorated by local organizations, are several. Firstly, to use local products and furniture is essential for the hostel’s aim to be more sustainable. Secondly, the rooms are used as a showcase for tourists and guests to let them know what the Lillehammer area has to offer. Thirdly, it is a great opportunity for the hostel to work with local organizations and be an even stronger voice in the local community. A couple of other hostels in the HI network even have their own decorated rooms in the hostel! The Pilgrim Room is designed by the Pilgrim Association, a network of enthusiasts working to promote the pilgrim road between Oslo and Trondheim. 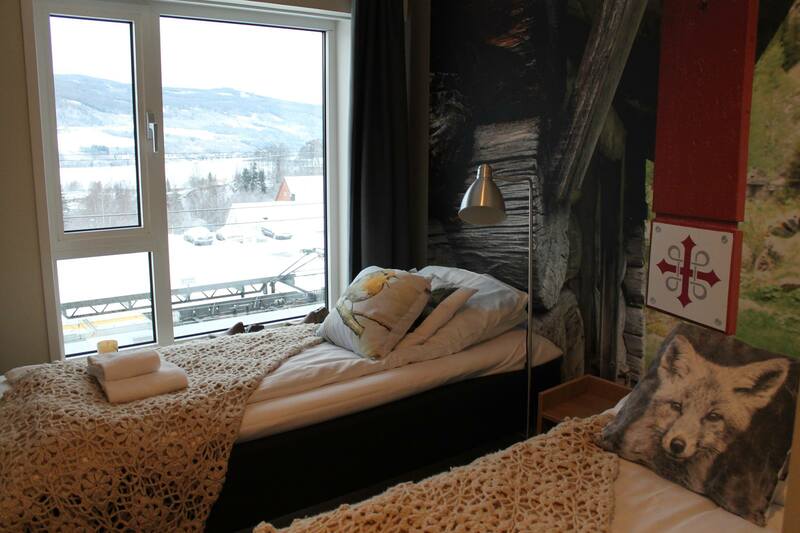 Lillehammer is a natural stop on the way, and in the Pilgrim Room, wanderers and hikers can sleep peacefully. 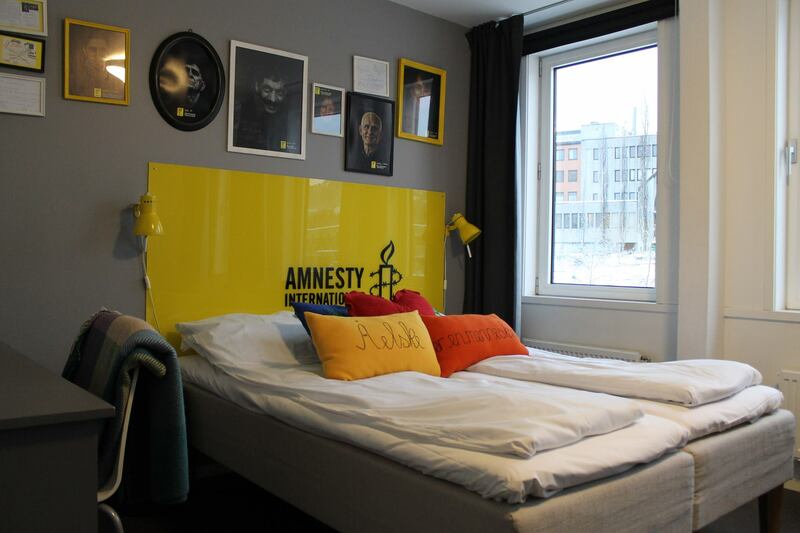 The Amnesty International Room was designed for the Lillehammer Literature Festival, and is designed to create awareness of the freedom of speech. Guests are also encouraged to write letters to state leaders where political prisoners are imprisoned, this can be done at a special table in the hostel’s café. The second hand room was one of the first rooms that were decorated in the hostel, using only furniture, books and other items from the local Lillehammer second hand shop. Showing how a room can be both cool and comfortable using recycled materials, is something the hostel is keen on doing. This is sustainability in practice! HI Lillehammer is famous in the local community for its great food, friendly personnel and great atmosphere. Cook for yourself in the guest kitchen, relax by the fireplace or take a stroll to Lillehammer town centre, just a 5 minute walk away. The hostel manager Geir welcomes guests from all over the world!